Nintendo received a lot of praise when it announced pre-orders for the SNES Classic Edition that would take them back decades into a world of nostalgia. But the happiness did not last long when they learned from retailers such as Amazon and Toys “R” Us that pre-orders would be delayed. Toys R Us customers in the UK received an email mentioning that the SNES Classic Edition will not be shipped as scheduled, and that it would take 2-3 weeks from the official release date due to stock delays. The email also mentioned that customers will be receiving a £20 voucher applicable to future orders, which looks like a gesture of goodwill to those frustrated with the message. “I am sorry to advise that there will be a slight delay in stock arriving from the manufacturer and your order will be despatched 2-3 weeks after launch.You will receive a despatch email once your order has been shipped from our warehouse. The news report only talks about emails to Toys R Us and Amazon customers, and there is no clarity on whether customers of other retailers like Tesco, Best Buy, and GameStop have also received similar messages. Also, there is no clarity on how many pre-order customers are affected. 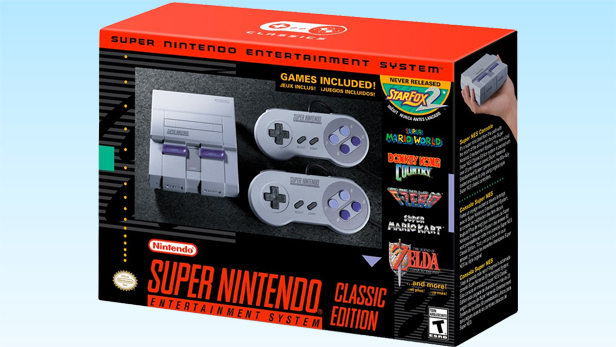 The shortage of SNES stock and now the delayed shipping is not in line with what the company told Kotaku earlier this year, that there will be a surplus supply of the SNES Classic Edition. “We aren’t providing specific numbers, but we will produce significantly more units of Super NES Classic Edition than we did of NES Classic Edition,” Nintendo said back in June. The Nintendo mini classic contains 21 pre-installed classic games and can be plugged into any high-definition TV using an HDMI cable. Additionally, the players will get the adventure Star Fox 2, but the game is not yet released.